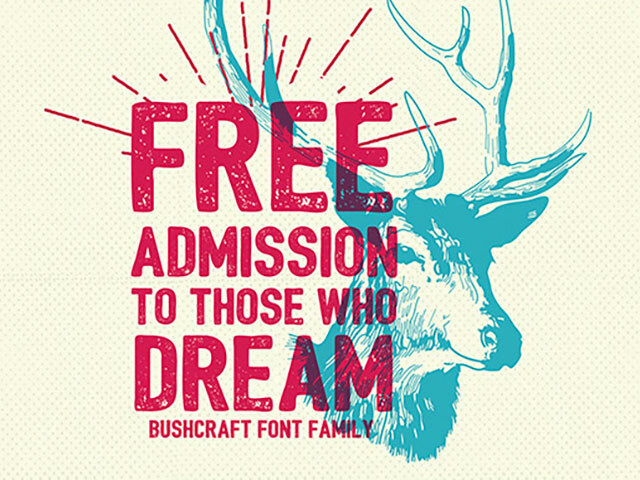 Bushcraft is a font family of 6 rustic, worn and beautiful hand-drawn faces in OTF format. Inspired by vintage hand lettering sans able to improve your next project: print graphics, logos, t-shirts etc. If you’re looking for other rustic bold fonts try Nexa Rust as well.